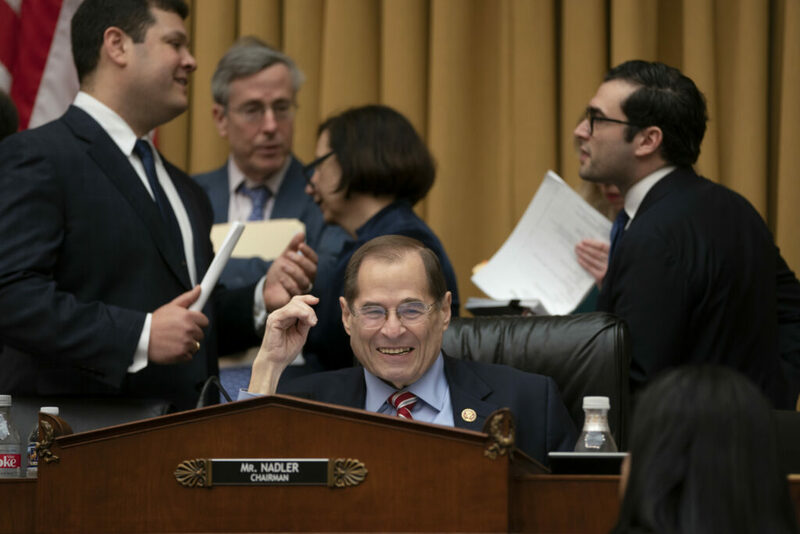 The House Judiciary Committee voted 24-17 along party lines to authorize its chairman, Rep. Jerrold Nadler, D-N.Y., to subpoena the report and underlying documents of Mueller’s probe from Attorney General William P. Barr. That’s one of the reasons Nadler is not expected to issue a subpoena immediately, giving Barr a few days to comply with Democrats’ requests. But Democrats, who are leaving for a two-week congressional recess next week, have made clear redactions are unacceptable and sought to give their chairman the tools needed to respond at any moment. After reviewing the report, Barr sent a four-page letter to Congress on March 24, saying Mueller “did not find that the Trump campaign or anyone associated with it conspired or coordinated with Russia in its efforts to influence the 2016 U.S. presidential election.” Mueller also made no determination about whether President Trump attempted to obstruct justice during the inquiry. Trump and his Republican allies have argued that Mueller’s findings amounted to “a complete and total exoneration” for him. But Democrats argue that Barr, a Trump appointee, is hardly a neutral observer and is protecting the president. 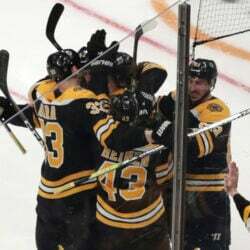 On Monday, Trump asserted on Twitter that “no matter what information is given to the crazed Democrats from the No Collusion Mueller Report, it will never be good enough.” And Republicans argued during Wednesday’s hearing that Democrats simply want to embarrass or impeach Trump. “[M]y friends across the dais are eager for headlines, so they’re issuing subpoenas … despite the fact the special counsel spent nearly two years examining exactly what House Democrats are fishing for here,” said Rep. Douglas A. Collins (Ga.), the top Republican on the committee. However, House Democrats in recent days have sought to shift the focus away from investigations, especially talk of impeachment. Many were disappointed that Mueller did not establish a criminal conspiracy between the Trump campaign and Russia to sway the election. And some Democrats worry the nationwide focus on their efforts probing Trump is drowning out their legislative message, which they deem vital to maintaining their majority in 2020 and defeating Trump in the election. Still, others in the party have argued that Barr — who personally determined there was not sufficient evidence to establish obstruction absent Mueller’s recommendation on the matter — could have misrepresented Mueller’s findings. The fight over the Mueller report is expected to land in the courts. Senior Justice Department officials have expressed opposition to releasing information that could damage an individual who is not charged with a crime. But when it comes to the president, Democrats argue Barr has an obligation to make the report public and have said they will sue for the entire document if Barr does not comply. The House voted 420 to 0 last month to urge Barr to release the report. But since then, House Republicans — particularly on the Judiciary panel — have deferred to Barr, arguing that he would make the best legal decision about what to make public. Since Barr’s four-page summary of the findings were released, support for House Democratic investigations of the president have hardened along party lines, according to a Washington Post-Schar School poll. The division offers a stark contrast to the start of the year, when an overall majority backed the lower chamber’s effort to probe whether the president or his allies conspired with Russia. The Judiciary Committee on Wednesday also approved subpoenas for five former White House aides, including: former chief strategist Stephen K. Bannon; former communications director Hope Hicks; former chief of staff Reince Priebus; former White House counsel Donald McGahn and counsel Ann Donaldson. Donaldson served as McGahn’s chief of staff before both left the administration.